Many people have cultivated the hobby of blogging. This hobby can be easily converted into money generating asset with some hard work and share of luck. Many people are not aware that their blog or website is visited by thousands of visitors and they can earn money from this traffic. In today’s world there are technologies which have made the monetization of your website very easy. To understand your web traffic it is must that you quantify website’s traffic. This gives you an idea about the advertisements you can put on your websites. Your website may be drawing large number of visitors from a particular geographical region or else your website may be drawing less number of visitors but from across the globe. Based on such facts you can decide which advertisements are more suited for your website. 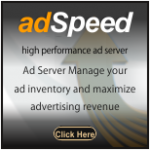 If you want to quantify your website visitors any quality adserver service can be used. They will simplify ad serving process and help you display targeted ads to earn maiximum revenues. Once you start using services like ad servers, the next step is to build content which is easily accessible and attractive enough to increase the traffic to your website. Choosing right keywords you can increase your visibiity on search engines by improving the rankings in search results. If your website attracts more visitors then you can find advertisers directly and manage advertisements on your own. With the help of a quality ad server platform, you can easily manage adspace and select only those that are vialble for your website. As a publisher you can describe cost for your AdSpace and get paid depending on number of visitors visiting your website. You will be paid for per one thousand impressions which is also known as CPM( Cost per thousand). M in CPM is Roman numeral for 1000. When you sell your own product on your website you simply cut short the supply chain and get rid of middlemen. But this requires lots of expertise and you need to devote lots of time in making the products you sell. You need to make sure you use good payment gateway for the payments in exchange of your product. You have to take care of shipping and taxes and so on the list is long. Many companies search for blogs which can publish their contents. This is also known as Native Advertising. The sponsored content is normally related with your primary content. In affiliate marketing you endorse a product on your website or blog. First you identify the product on your own and then recommend it. You promote the product through your website to your website visitors and e-mail subscribers. You are paid commission on every sale through your website.